Herewith a few hints to Lady Travellers visiting the UAE on their own. First of all, I didn't experience any particular problems as a woman on my own in Abu Dhabi. Everyone I met was courteous and friendly and, as far as Western women are concerned, the rules concerning dress are fairly liberal. I chose to wear tops that covered my arms and trousers - but this was partly as protection against the sun. 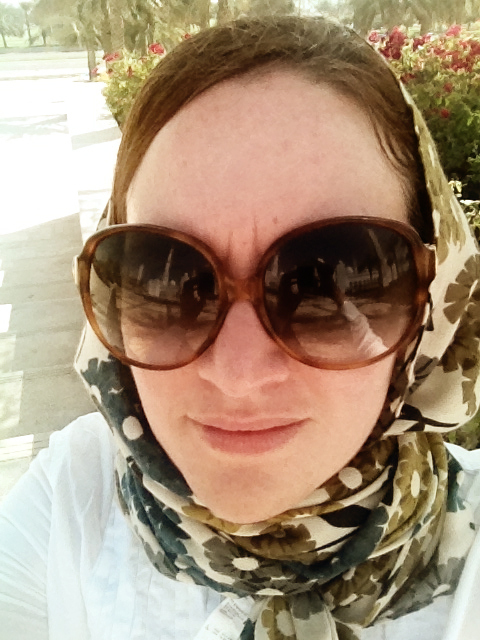 However, I've found that when you are on your own, dressing more conservatively offers some protection against unwanted attention (though it didn't stop two guys from making kissy faces at me outside the souq - for them I employed my Cape Town Mean Face). 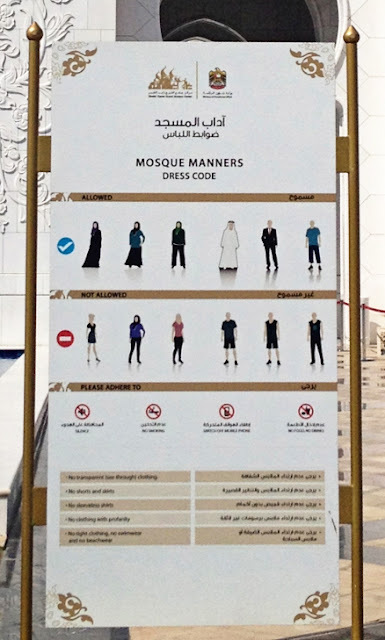 BUT, but, but, if you turn up not wearing suitable clothing, Sheikh Zayed Grand Mosque will supply you with a robe to put on over your clothes (I imagine this is not the case with smaller, less tourist-friendly mosques, however). You will be required to take off your footwear before entering the mosque proper. I also noticed one couple who were being photographed by a friend (not a problem) being politely asked not to touch inside the mosque. Apart from that, the same rules apply as when visiting most places of worship: be respectful and think twice before photographing people at prayer.